Storytelling is the buzzword of all buzzwords in marketing today, but how in the heck can your small business use storytelling? What is the role of storytelling in your marketing efforts? So many businesses read about using story and think about creating a narrative that tells the world about their products and/or services. I think this is fine, but overall your storytelling efforts need to focus on the customer experience, giving your audience something to connect with, so they identify with your brand. John Jantsch recently wrote a post about Why Social Media Isn’t Working and What to Do About it and I honestly think it’s one of the best posts on social media I’ve read in a while. So true and to me this is the essence of storytelling in business. You are basically trying to build a connection with your audience. Any company/brand has certain characteristics that can be defined through the use of archetypes. From mythological figures to TV to novels, similar characters are always present. When your small business takes on the qualities of a certain archetype, customers have an easier time understanding what the business is about. If you want to learn more about this, check out Carol Pearson’s information on archetypal branding. 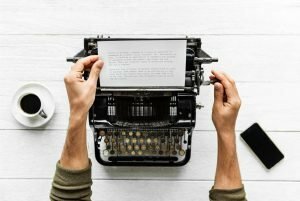 In Upasna Kakroo’s post at Social Media Examiner, she details 5 Ways to Use Storytelling in Your Social Media Marketing and the first step is about paying attention to story structure. She uses Freytag’s Pyramid, a solid framework anyone can use. Just like with archetypes, certain characters are always present, the same goes for story framework—there are common patterns in stories that always appear. Bindle Coffee’s about page is short, sweet, and to the point. The nice little story from this Fort Collins, CO coffee shop is a narrative that people will relate to. I love what they wrote because I think people are more interested in why you do what you do, and less interested in what you do. Sure they buy your products and/or services but the real reason they work with you is most often based on your why. In my “6 Steps to Bring Your Brand to Life” email series I detail how to do this. What do you stand for and how do you see the world around you? What truly makes your little business unique and valuable to your customers. To the world around you? You’ve seen endless posts that use examples from Nabisco, Apple, and McDonald’s but what about a small, local business? 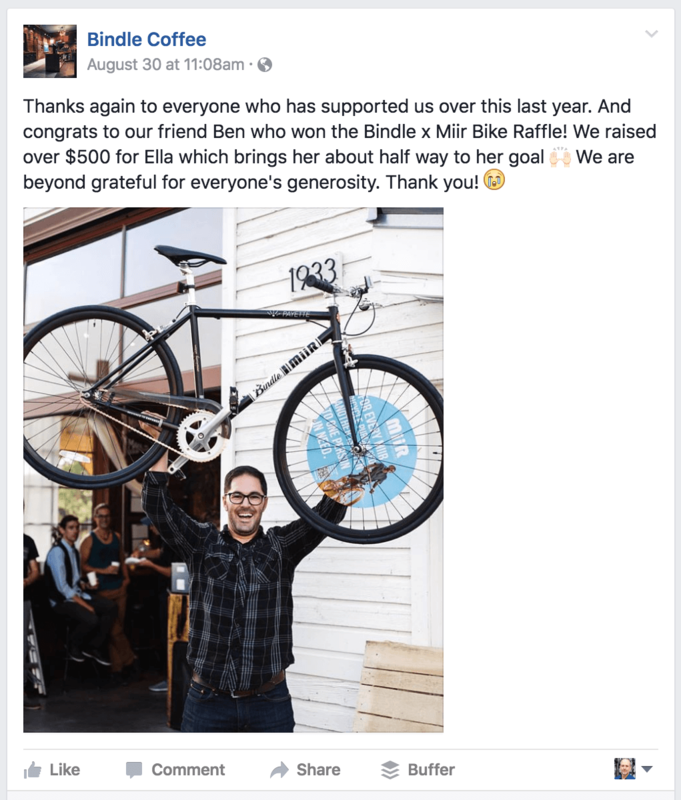 Check out the Facebook post from Bindle Coffee below. They share a story about a local raffle and fundraising effort. In fact, you should check out their Facebook page to see how they develop a variety of narratives to engage their fans. Today, think about your story and the platforms you can use (blogging, social media, podcasting, video, etc.). Think about your company’s archetype, pay attention to story structure, reveal your Why, and embrace social media. Work to give your brand depth and meaning through story. Time to get busy telling your story. Great post, Craig! I especially like the point about revealing your “why.” Entrepreneurs and small business owners are passionate about something, being a bit vulnerable and exposing that passion and that why are a fabulous way to win loyalty and build an audience that matters. Thanks! Revealing your “why” is so crucial and many don’t do it. I used the Bindle example because it’s short, sweet, and to the point, plus people can relate. Hi Craig. This is an awesome post! I love the way you talk about story development in the context of brand purpose. Also how storytelling has been around a long time but social media is the ideal place for building an engaging narrative. Really good read. Thank you!